Posted on March 17, 2016 at 11:32 am. Easter is just over a week away and lucky for Guts players, the trivia challenge is back to reward us with cash prizes, gifts, bonuses, and more. 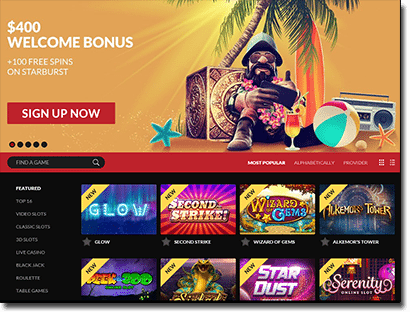 If you’ve been a member of Guts online casino since Christmas, you will know all about the trivia challenge – but this time it is Easter themed. For those who are yet to sign up, click our links to register your details to be a part of the Guts Easter Egg-Stravaganza trivia challenge. Each day, players can log in and answer the daily question – with 72 hours to answer. If you guess correctly you will receive an instant prize, which could be free spins on pokies with all winnings wager free, or instant access to bonus rounds, plus points to the leader board competition. Players earn five leader board points for every correct answer, along with an instant prize (you do need to have made at least one deposit since registering at Guts to get the points and prize). If you don’t happen to answer the question correctly you can complete a mission in 24 hours (countdown starts at 00:00 CET each morning), in order to earn the leader board points. Missions vary from day to day, for example today’s mission is to either wager at least $100 on Jack and the Bean Stalk to earn five leader board points and 10 free spins on Sevens High, or wager at least $300 on the pokie to receive 10 leader board points and 15 free spins on bet level 2 on Sevens High. You can answer the question correctly and complete the mission too, to earn more points for the leader board promotion. The more points you earn the higher the chance you have at scoring a top 100 position on the leader board. The leader board will be updated daily so you can see if you need to complete more missions – complete as many as you can plus answer the questions correctly for your best possible chance. If you aren’t a member of Guts yet, sign up by clicking our links and make a quick deposit, so you can participate in the Guts Easter Egg-Stravaganza trivia challenge.